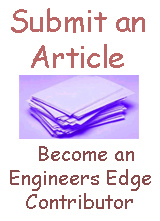 The following are to links of engineering analysis resources, tools, articles and other useful design reference data. ANSI Hardware Design Data Links to engineering hardware design and reference data. Hardware design data may be given in inch or metric units. Engineering and Applications Factor of Safety Review Factor of Safety (FOS) for structural applications is the ratio of the allowable working unit stress, allowable stress or working stress. Finite Element Analysis FEA Review Links of Friction formula and design data. Friction Equations and Design Links of Friction formula and design data. Gear Design and Engineering Gears application, equations, calculators and other design data. Incorporating Engineering Ethics for the Credibility of FEA Results Finite Element Analysis (FEA) is one of the most frequently used methods for design and development of an engineering product. Design and Analysis of Leaf Springs using FEA Approach This is a general study the design and analysis of leaf spring. The suspension system in a vehicle significantly affects the behavior of vehicle. Leaf springs are subjected to millions of varying stress cycles loading to fatigue failure. Leaf springs are special kind of springs used in automobile suspension systems. Mechanical Tolerance Standards and Analysis Mechanical Tolerance Design Manufacturing Calculators and Tables, GD&T, Geometric Dimensioning and Tolerancing calculators, Standard mechanical tolerances and other mechanical tolerance resources for design, engineering, manufacturing and quality. Structural Beam Deflection and Calculation Beam Stress, Beam Deflections Calculations Section Modulus Tapered Beam Design, Concrete Beam Analysis. Structural Analysis Review Structural analysis is the determination of the effects of loads on physical structures and their components. Stress Analysis of Screw Threads Variations in minor, pitch, and major diameters along with other geometry considerations in V, Acme, Buttress, and special thread forms; may adversely affect the assembly, life, and strength of a given thread joint.